Annnnnnnnnnnnd here come the cheating accusations! The Pittsburgh Steelers website, which apparently can't accept defeat at the hands of the Patriots, accused the home team of cheating due to Steelers coaches headsets picking up the Patriots radio broadcast at the beginning of last nights game. The controversy was quickly squashed when it was reported that the NFL is in charge and monitors headsets on both sidelines. So the Patriots had nothing to do with it. What's funny is that some were trying to pin this against the Patriots. ESPN posted the story and it was initially left out that this was a league issue. It was edited well after the fact. 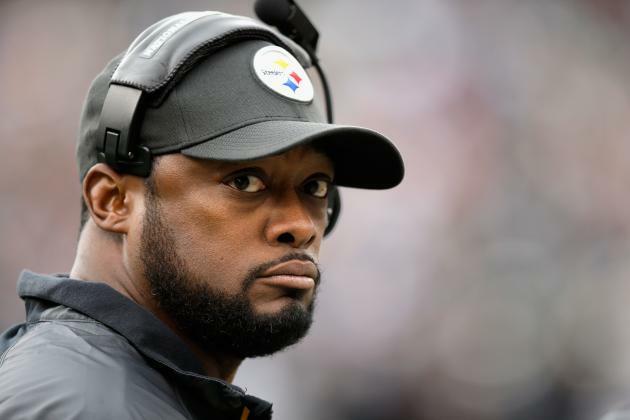 Steelers head coach Mike Tomlin was especially not happy, and he was very vocal in his post-game press conference. When pressed after the game, an unhappy Mike Tomlin said headset issues have occurred repeatedly in New England. "That's always the case. Yes. I said what I said," the Steelers coach said. As it turns out, the Patriots coaches were having similar problems with their headsets. "We had a lot of problems," Bill Belichick said. "We had to switch headphones a couple of times. The communication system wasn't very good. We deal with that, it seems, weekly. So there you have it. It happened to both teams. Controversy over.